Anuschka Blommers (1969) en Niels Schumm (1969), both graduated of the Rietveld Academy, started working together ten years ago. Today, they are a succesful photography duo, ranked amongst the top fashion photographers. Their work is about people: focus is on the individual, something that is rarely done in the fashion world. They throw the expectations of the viewer off balance, playing with perspective and proportions. In each photograph, the viewer is hit with a big surprise, but always one that is beautiful and exactly on the mark. The picture shown above is the press image of UNSEEN photo fair in Amsterdam. 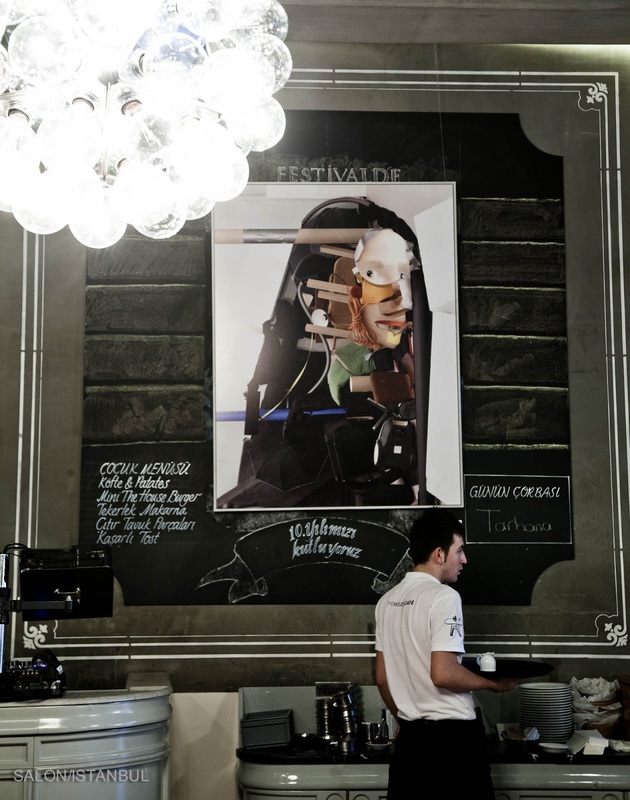 It is hanging in the lovely HOUSE Cafe on Istiklal.